Christmas Comes Early to DoYouConvert! The holiday season is always an exciting time of the year, and this year is no exception. I’m excited to announce that Kevin Oakley has joined DoYouConvert as a partner! Kevin has over a decade of experience running marketing and sales operations for home builders of all shapes, sizes, and areas of expertise. His extensive background, history of success, and time spent in the trenches allows him to uniquely connect with the challenges you face in today’s marketplace. 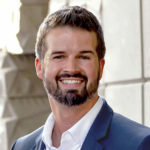 Kevin is also the author of Presale Without Fail – a popular e-book that has been used to launch new communities across the US and Canada with multiple sales on the first day. The addition of Kevin allows us to expand our offerings to include in depth online marketing and lead generation services! We will increase your lead volume, and optimize your entire online sales & marketing funnel. Combining these solutions with a dynamite online sales program will explode your sales! We are working hard right now on several new programs that we can’t wait to show you. Stay tuned to DoYouConvert.com, and watch for more announcements coming soon!